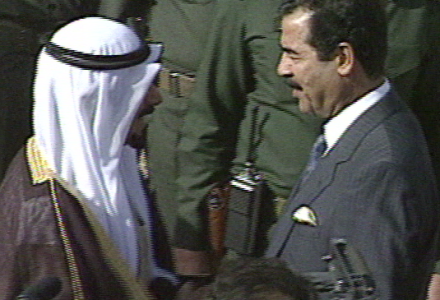 The U.N. imposed sanctions and called on Saddam to withdraw from Kuwait. Instead he sent in over 300,000 soldiers. Kuwait’s wealth was systematically plundered by the looting of houses to the ransacking of the Kuwait Central Bank. Some Kuwaitis tried to fight back, but the resistance was soon broken. 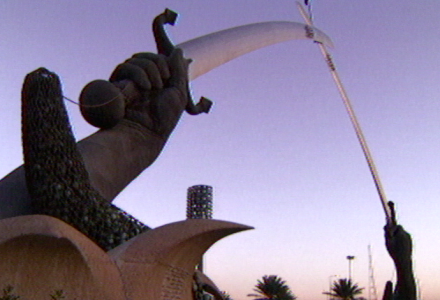 Saddam ruled Kuwait as he’d always ruled Iraq, with torture and terror. 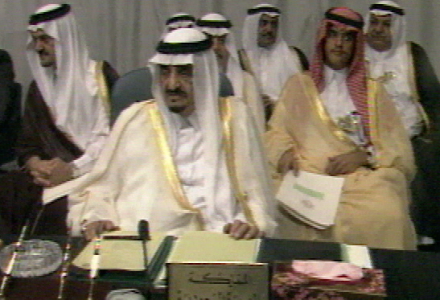 The Kuwaiti government was being run from a hotel in Saudi Arabia. 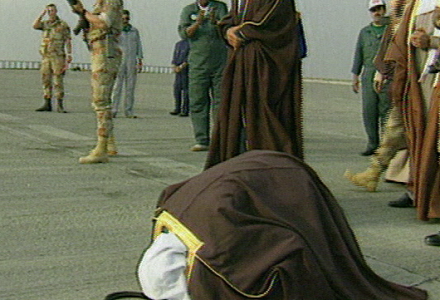 All they could do was wait on news from their people in Kuwait. Thousands of ordinary people were fleeing Kuwait by any means, taking with them only what they could carry. One of the other challenges for the government in exile was to provide the resistance in Kuwait with money. This was a complicated procedure, but proved very effective. 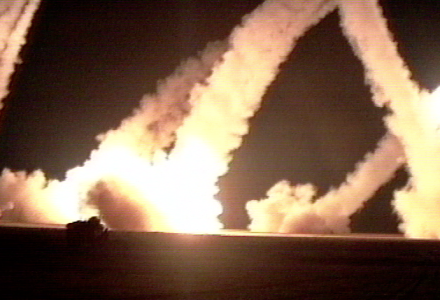 The resistance had a number of successes, such as a car bomb attack on the Iraqi special forces headquarters. In response the Iraqis rounded up scores of men & women – some who are still missing today. But before any military action by the US, President Bush wanted to bring along the American public. So the US administration began a PR campaign to persuade the American public that military action was required. 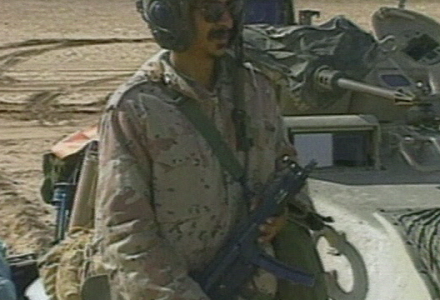 In an attempt to prevent air attacks, Saddam rounded up foreign men, women & children to be held as “human shields” in Kuwait. In an effort to avoid war there was a last-minute meeting in Geneva with the Iraqis. But Tariq Aziz, the Iraqi Foreign Minister, had offered no last-minute compromise. Instead, the talk had turned to war. Things went badly for the Iraqis. James Baker, the US Secretary of State, who also attended the Geneva talks said that Aziz was an extremely good negotiator but had a very bad brief which allowed him no flexibility. Aziz on the other hand said that Baker had only one brief and that was to take military action against Iraq. In the beginning, George Bush had been almost alone in his determination to turn back the invasion of Kuwait. Five months later, the man often derided as a political wimp had manoeuvered his generals, his country and most of the world to join his stand in the desert. Within days of the failure of the talks in Geneva the Allies started air attacks on Iraq. 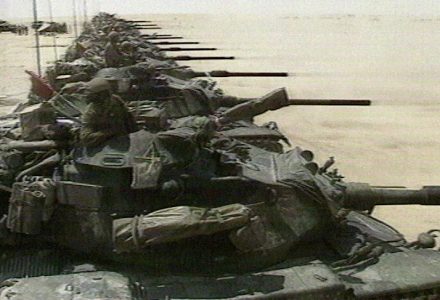 Part four of a 6 x 50-minute documentary series on the first Gulf War. These films can be bought individually or as a series.